Hockey’s most prestigious club will get six new members on Monday night as Martin Brodeur, Aleksander Yakushev, Martin St. Louis, Jayna Hefford, Gary Bettman and Willie O’Ree officially get their call to the Hockey Hall of Fame. 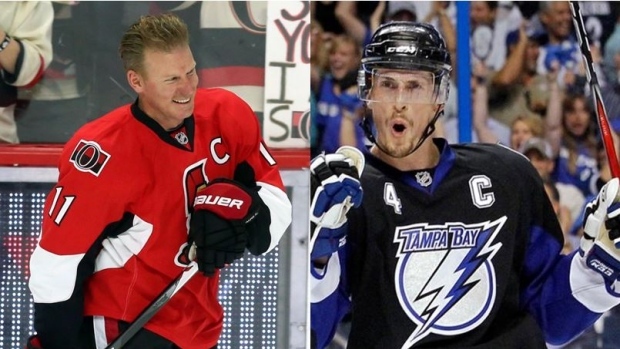 With this year’s best and brightest set to be inducted as Hall of Fame Weekend comes to a close, TSN.ca takes a look at the players eligible for next year’s class and a few that remain on the ballot. 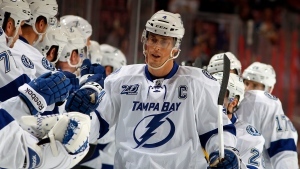 One of the top first-year candidates is former Tampa Bay Lightning captain Vincent Lecavalier. Over 17 seasons and 1,212 games, he tallied 949 points (421 goals, 528 assists). He sits atop the Lightning’s franchise leaders in regular season goals (383), games played (1,037) and is second in assists (491) to Martin St. Louis’ 588. His best season came in 2006-07, when he scored 52 goals en route to winning the Rocket Richard Trophy. If he gets the call, it will be the third straight year a member of the Lightning’s 2004 Stanley Cup-winning team will receive a nod with St. Louis set to be inducted Monday and Dave Andreychuk entering the Hall of Fame in 2017. Lecavalier closed out his career in 2015-16, playing in 42 games for the Los Angeles Kings following an early-season trade with the Philadelphia Flyers. 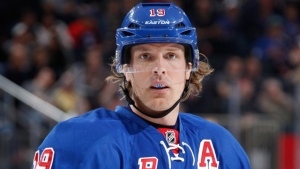 Brad Richards – Lecavalier’s teammate from the 2004 Cup team – is also up for induction. Richards won the Conn Smythe Trophy in 2004, which bodes well for his case. Of all the skaters who have won the award and are eligible for the Hall, only Butch Goring and Claude Lemieux have not been inducted. In 15 NHL seasons spent mostly with the Lightning, Dallas Stars and New York Rangers, Richards posted 298 goals and 634 assists in 1,126 regular season games. He and St. Louis share the Lightning’s season record for assists with 68. Richards also won a second Stanley Cup with the Chicago Blackhawks in 2015. For his playoff career, he averaged just over a point per game with 18 goals and 29 assists over 45 postseason contests. Richards finished his career with the Detroit Red Wings. Rarely does anyone make it to 20 years in the NHL – let alone with one team. Patrik Elias is one of those rare cases, playing 20 seasons all for the New Jersey Devils. Elias only posted more than 81 points in a season once – tallying 96 in 2000-01 with 40 goals and 56 assists – but his consistency over two decades in the league is impossible to ignore. So is his impact on the Devils. He is the franchise leader in goals (408), assists (617), points (1,025) and game-winning goals (80). His 1,240 games played for the team rank third in franchise history behind Ken Daneyko (1,283) and Martin Brodeur (1,259). He also led the Devils to two Stanley Cups, one in 2000 and the other in 2003 alongside Hall of Famers Scott Stevens and Brodeur. Jeremy Roenick has been waiting for his call to the Hall since 2012. If it hasn’t come by now it may never come, but his mix of talent and personality makes the debate rage on. While he never won a major individual award or a Stanley Cup, he did tally 513 goals and 1,126 points over 20 seasons, including a run of at least 100 points in three straight seasons from 1991 to 1994. Roenick, who played 1,363 career NHL games, was a nine-time All-Star during his career and ranks 16th in league history with 92 game-winning goals. It was a little surprising to see Daniel Alfredsson miss the cut in 2018, but he could work his way in next year. 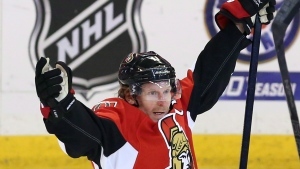 His 444 goals rank 62nd all-time and he is the Ottawa Senators’ franchise leader in virtually every offensive category. The 45-year-old, whose career came to and end with the Detroit Red Wings in 2014, posted 1,157 points in 1,246 games. He won the Calder Trophy as a rookie with the Senators in 1996 and served as team captain from 1999-2013. Internationally, he owns an Olympic gold and silver medal, with 27 points in 26 Olympic contests for Sweden. 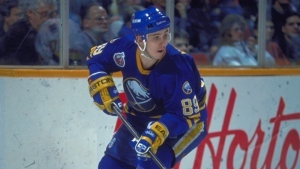 While he might not have been able to maintain it over the course of his 16-year career, Alexander Mogilny scored a whopping 76 goals with the Buffalo Sabres in 1992-93 and followed that up with 55 a few years later. 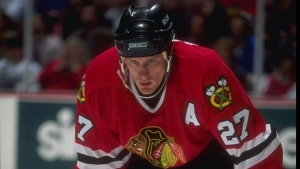 Mogilny retired in 2006 with 473 goals and 1,032 points in 990 career games over 16 seasons. His career totals might be inflated by a couple world-class seasons, but Mogilny was a member of New Jersey’s Stanley Cup winning team in 2000. He also won the Lady Byng Memorial Trophy with the Toronto Maple Leafs in 2003. The Hall of Fame debate has waged on for years with Curtis Joseph, but considering he has more wins (454) than other HHOF goaltenders Terry Sawchuk (445), Jacques Plante (437), Tony Esposito (423) and Grant Fuhr (407), he has a compelling case. Over a 19-year career, Joseph posted a 454-352-96 record. His .906 save percentage ranks 67th all-time, while his 2.79 goal-against average ranks 90th. He ranks 24th in league history with 51 career shutouts. 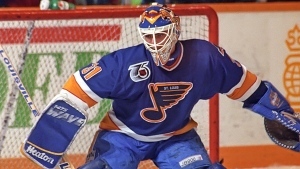 “Cujo” had at least seven seasons with 30-plus wins and a career GAA of 2.79. But the absence of a Stanley Cup or a Vezina Trophy might be what’s held him back over the years.